Halfway through the 2017 VdeV season, and 21-year-old Sennan Fielding has settled firmly into his new role as a Ginetta development driver and brand ambassador. 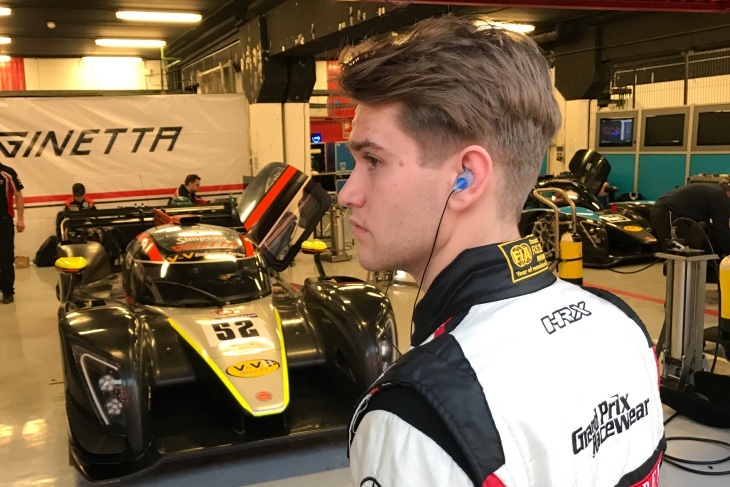 Born in Chesterfield, and a graduate of the Ginetta Junior Scholarship, Fielding is now racing with Ginetta in its G57 programme in the VdeV Series, as well as completing various other work on the side for the Yorkshire marque, in an effort to progress to the role of factory driver in the future. But it hasn’t been an easy ride for Fielding, to get to the position he now finds himself in. In conversation to DSC, he explained that his journey from karting to his current situation with Ginetta was full of ups and downs. “I did quite a lot of karting, and had a good karting career up until 2011 when I won the Ginetta Junior scholarship. I’ve not looked back since. I got told about the Ginetta scholarship very much at the last minute, and entered it thinking it would just be a cheap test. I didn’t go there thinking I was going to win, and I’d never driven a racing car before. So I turned up with an open mind. But it was more than just driving, they tested us on media skills, fitness and then driving ability. Once he made his way into the Junior ranks, he finished seventh in season one, and second in season two, narrowly missing out on winning it all, in the year which Charlie Robertson took the honours. “When you’re in karting, you think it’s the be all and end all but as soon as you escape it, you realise how much of another level everything else is. You get to Juniors and everyone has the same car, which makes it a lot closer, and it’s extremely competitive. “On the scholarship, Ginetta guide you, they try and make you more well-rounded, they give advice on media coaching, driving and give you an open phone line so that you can easily approach them if you have problems. There’s a few other scholarships around, but the Ginetta one is probably the best, because it really does shape some of the best young drivers in the UK. 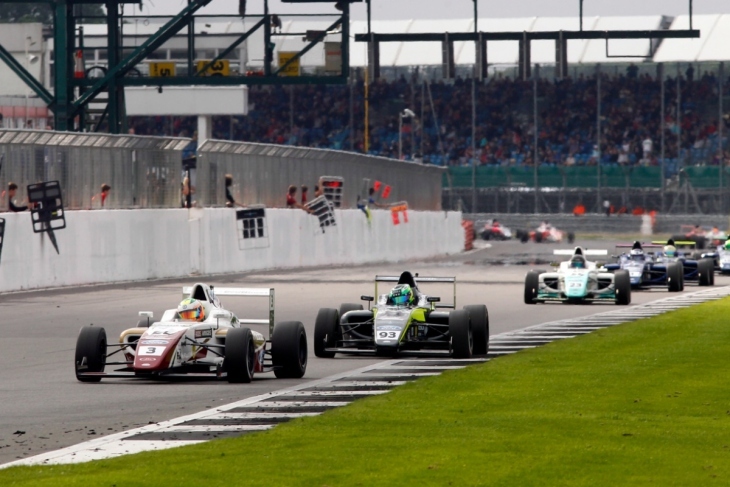 F4 was a difficult experience, which culminated in a run to fourth in the 2014 BRDC season and a second place finish in the 2016 British F4 Championship. 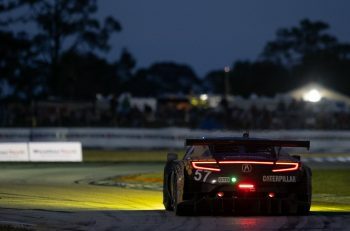 During his F4 tenure, which lasted four years, he ended up taking two prolonged breaks, which made it even tougher to challenge for wins and podiums when he stepped back in. 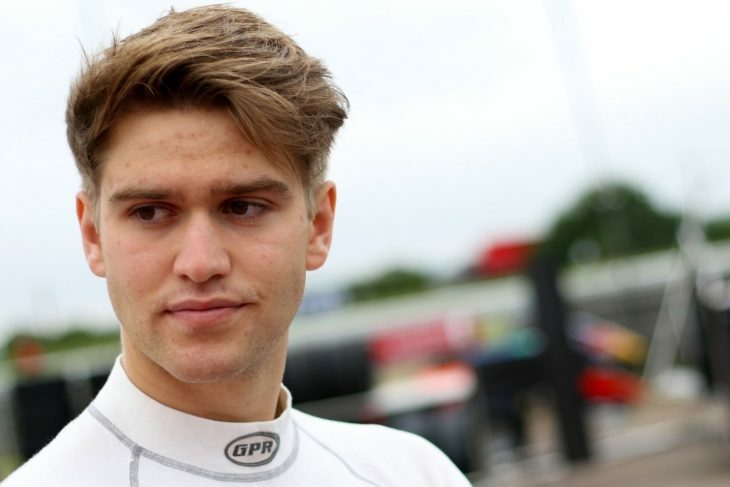 “I did BRDC F4 in 2013, and did like three rounds, and then had a year out due to financial issues. Then when I came back, I had a rough start of the season, due to being rusty, but it was a really good year, which ended with a few mechanical failures demoting me to fourth overall. I should have been fighting for the title, I was the only driver to win all three races on a weekend, which was at Silverstone. “Then the year after, it was very challenging with finances again, but I did two years of British F4, and finished runner up in the second year. It was hard because in the breaks, I did no testing at all. His performances and perseverance though, got him noticed, and Ginetta came calling once again, this time giving him an offer he couldn’t refuse, to help the brand behind the scenes, and race a far more sophisticated bit of machinery. “I’ve always liked everyone at Ginetta, and had a good relationship with them. And they gave me an offer this year, which was too good to turn down. They said if I can prove myself to them, then I’ll progress from there. It’s given me the chance to race in VdeV in a G57, and each time I’ve been able to show them that I have good pace.”My job is essentially to jump at any opportunity I get, and show Ginetta what I can do. Despite its menacing looks, 575 brake horse power, and top speed of 190 miles per hour, the G57 he says, is a car that’s easy to learn, but hard to master. And, a perfect machine to hone your prototype skills with. The VdeV series too, he believes, is a place which young talent can prove themselves under the radar. “I mean, the G57, it looks awesome, but your first impression is that you think it’ll be a handful to drive. I remember the first time I drove it at Barcelona,” he said. “I’d only agreed to race on the Tuesday before the weekend. When I saw it, it was the first time I’d seen it in real life. I didn’t know what to expect, jumping from F4, which has 160 horsepower and is lighter. The G57 has three times as much power, is twice the size and that alone makes you nervous. “But when you jump in, you realise how forgiving it can be. It’s hard to find that final bit of pace, which Mike and Charlie have unlocked, but even gentlemen drivers can do a phenomenal job. “The racing in VdeV has been fantastic, and with Mike and Charlie alongside me, they’ve set the bar high. I’ve met amazing people. The endurance racing world is completely different to sprint racing, but I adjusted quickly. It’s not all about setting the fastest lap, it’s about consistency, and I enjoy that. Looking ahead Fielding told DSC that he’s gunning for a factory drive alongside Mike and Charlie. 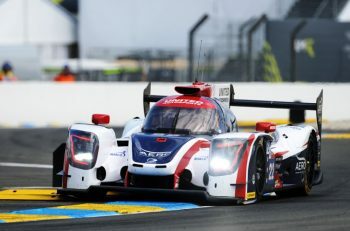 The work he’s putting in with Ginetta, he believes will put him in good shape to join Charlie Robertson and Mike Simpson on the full-time driving roster. It would bring him full circle, showing just what the Ginetta Junior Scholarship can do. At a time where there’s never been more steps on the motorsport ladder, what Ginetta has done is create its own path for drivers talented enough to reach the top. Fielding is one of many, who hope’s he’s got what it takes to be around for a long time. “I want to get to get to a similar level to Charlie.” he stated. “That’s the aim. I do other things like coaching days behind the scenes, and because I can offer that, I get treated like a member of the family. I like to think that doing more with them, benefits both parties. 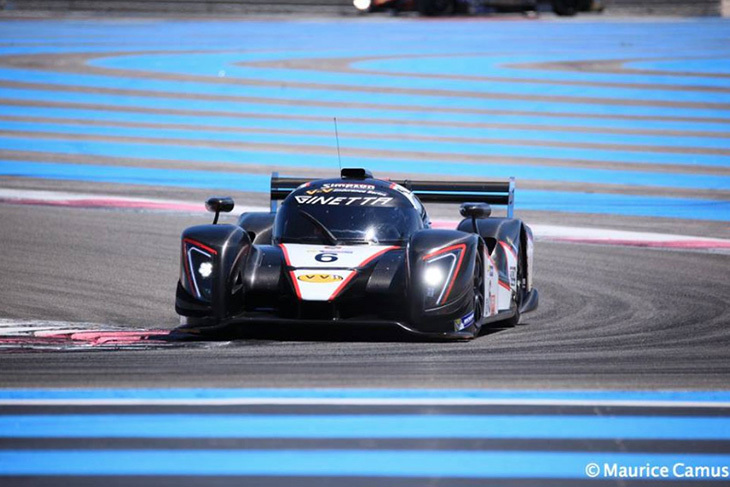 “In single-seaters it was hard, because I was just taking drives as they came, now I’m with Ginetta, there’s stability. I believe in them, they make sure their factory drivers understand how much hard work goes on behind the scenes, and keep them involved. Guys like Mike, don’t turn up and go racing, they work hard, and they know the sport inside out. They’ve got a lot going on at the moment, and I want to help them out with that, and go racing. “You’ve got to be more than just good on track to be a professional driver. 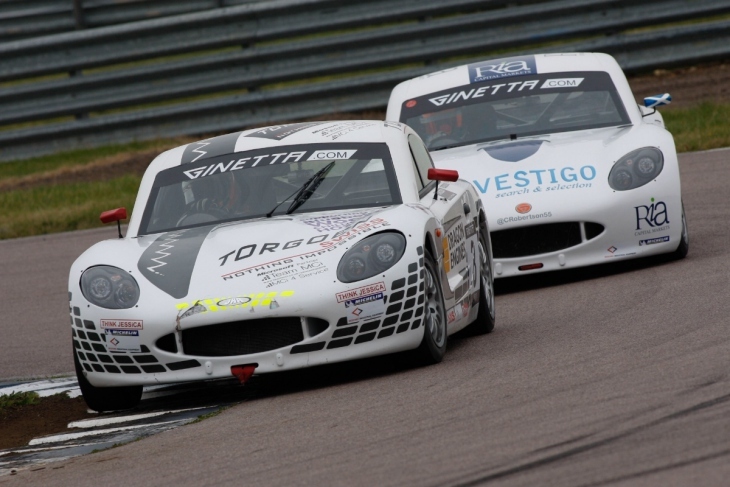 Ginetta is allowing me to get show that I can do that, that I have what it takes to be a complete driver. I’ve not had any negative feedback so far, and I’m enjoying every minute.